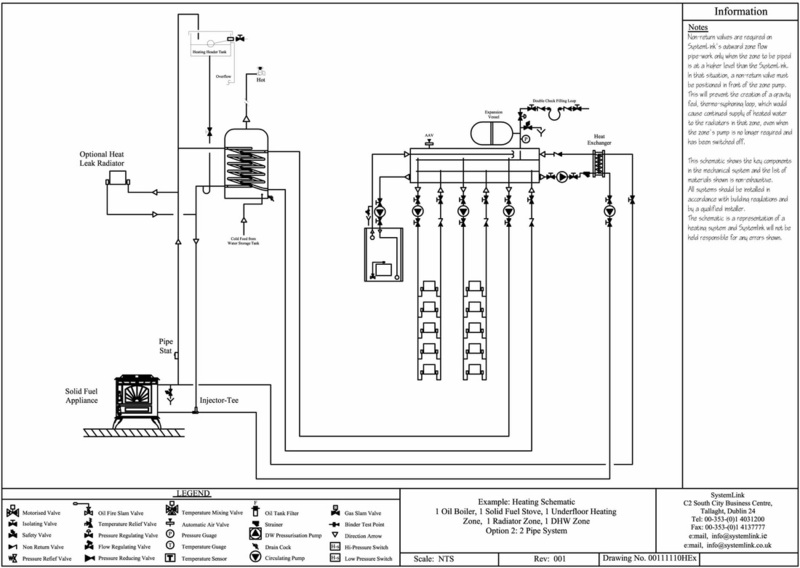 In this schematic you can see a standard 3-zone system with dual heat sources. 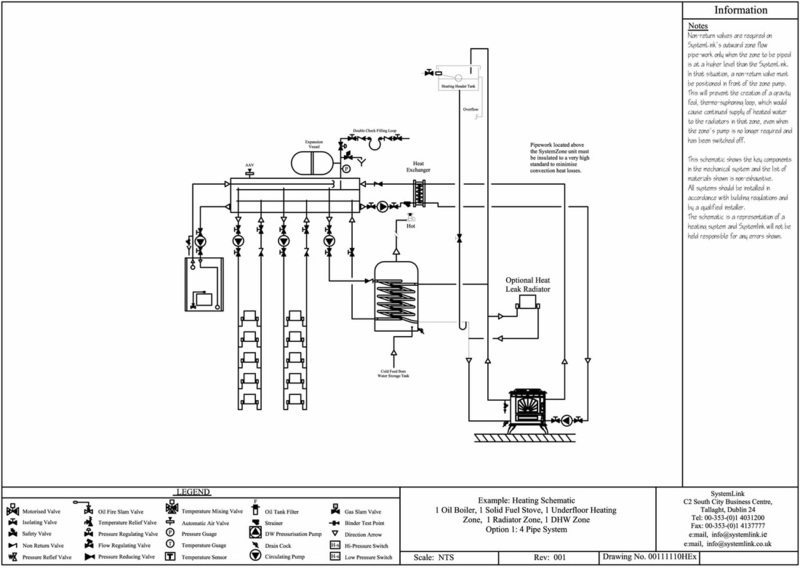 The exception being the Plate Heat Exchanger between the Stove and the Systemlink zoning/link-up manifold. 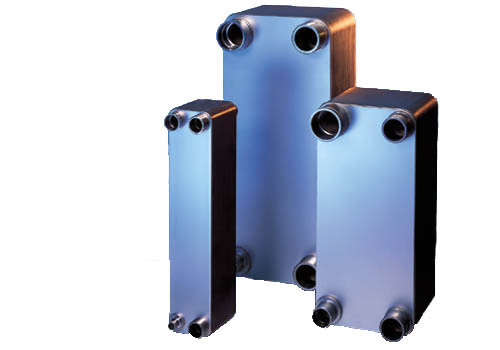 It is this heat exchanger that allows the heat to transfer but not the differing pressures of the sealed and open-vented elements of the system. You should use this simple method to join a sealed system with an open-vented Solid Fuel Stove as long as you can install a continuosly rising pipe through either the cylinder coil and/or a heat leak radiator. The need for the continuosly rising pipe is due to the gravity thermosyphoning cicuit that should be created for the stove. If you cannot get continuosly rising pipe from the stove to either the cylinder coil then you should use the Heat Genie which solves the most difficult of Solid Fuel installations where gravity ciruits are troublesome. ​This is a similar setup as above but with a stove that has only 2 pipes at the back for connection to the heating system, in this case you simply tee off from the 2 pipes to create 4 pipes. An injector tee should be used in this scenario.